The ZC-1 provides programmable remote volume control for the DriveRack 220i, 260 and ZonePRO devices. The remote device shall provide computer programmable rotary potentiometer volume control for the dbx DriveRack 260, 220i and ZonePRO™ devices. The remote device shall have DIP switches allowing identification with connection to the processing device via CAT 5 cable on RJ-45 connectors. 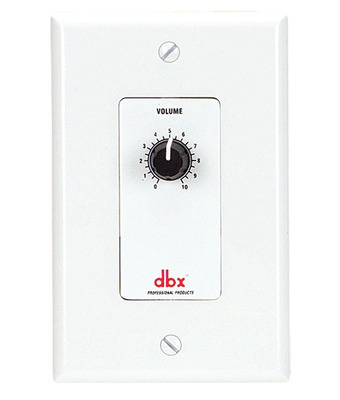 The device shall be a dbx ZC-1 remote controller.